I do apologise for it has been ages since I gave an update on how the Barn Owls are fairing up where we have the nest box cameras. 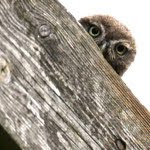 If you recall I was expressing my concern as the male owl had not been seen for a number of days and I feared the worse for the 3 chicks in the nest. It was the male who brought in the majority of the food and I didn't think at the time that the "lazy" female would be able to cope. Well it is good news and bad, the three chicks are all still doing very well, see latest screen capture below but the male has still not been seen. I think it will be a matter of days now before the chicks venture out of the barn on their maiden flights, but we haven't got to this stage without a few more frights. 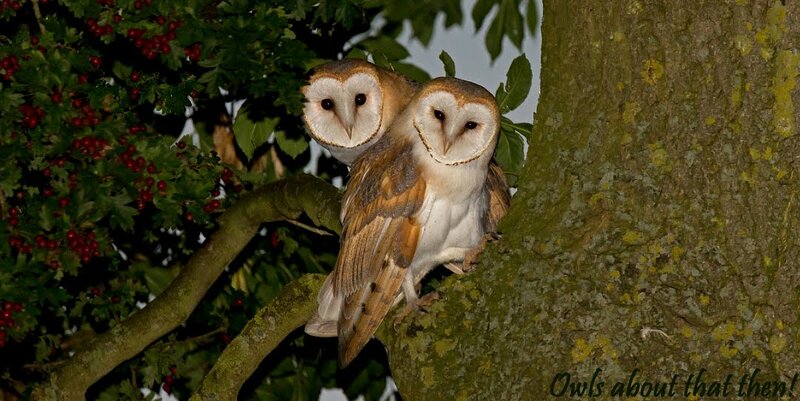 Only 3 or 4 days after the male owl (dad) had disappeared that another male Barn Owl was seen around the area. He very quickly took a liking to the hen owl and at dusk on consecutive evenings he would appear and chase her around. This was obviously a hindrance as she needed to be concentrating on feeding her youngsters. Then one evening he followed her into the barn where the box is located and he saw for the first time the 3 chicks in the nest. He then repeatedly attacked them on a nightly basis and on a couple of occasions he managed to evict one out of the box and then attacked again talons lashing out before it fell to the floor. Luckily Glyn observed all this nasty and aggressive behavior and went to the rescue, he returned the chicks to the box seemingly none the worse. This has been going on now for a couple of weeks and in all that time the chicks have been growing and getting stronger on a daily basis. The rogue male was obviously an unattached bird and having realised there was no male in this new territory he wants to breed with the hen owl. Both Glyn and I think that as soon as the juveniles fledge he will be higher profile around the area and it wouldn't be a complete surprise to see another clutch of eggs very soon. If the chicks have survived this far, I guess that they'll probably make it! It sounds as if there is a very good chance that you'll be left with a breeding pair here after all! In the balance, it seems like good news to me, Paul! Yep, word verification now off! !